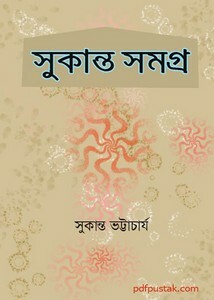 Sukanta Bhattacharya was an outstanding popular and powerful poet of modern Bengali literature. Since adolescence, he was associated with communist politics. All pain and sorrow of subservient country and the dream of exploitation of free society, exploited people's career and fight for the future of the world, these are the main inspiration for his poetry. Today's sharable ebook has 417 pages with 13 mb pdf file size.